Packaging for the ULTRAMAN R/B (RUEBE) Blu-ray Box I. Photo courtesy of Tsuburaya Productions. © TSUBURAYA PRODUCTIONS. 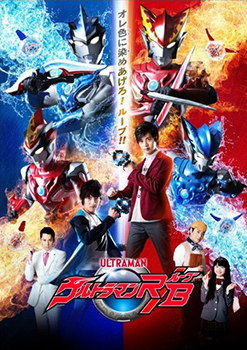 Tsuburaya Productions latest Ultraman show, ULTRAMAN R/B (RUEBE) [ウルトラマンＲ／Ｂ(ルーブ), Urutoraman R/B (Ruubu), 2018], comes to home video in Japan on November 22. 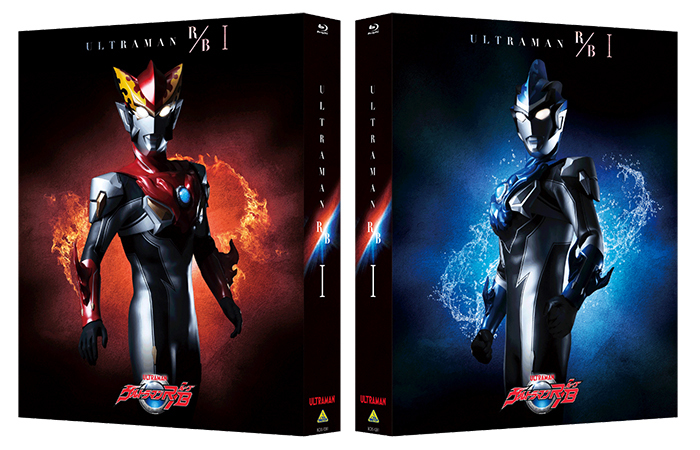 ULTRAMAN R/B (RUEBE) Blu-ray Box I [ウルトラマンＲ／Ｂ(ルーブ) Blu-ray BOX I] will contain Episodes 1-13 of the series, plus a Special Disc of exclusive bonus features. 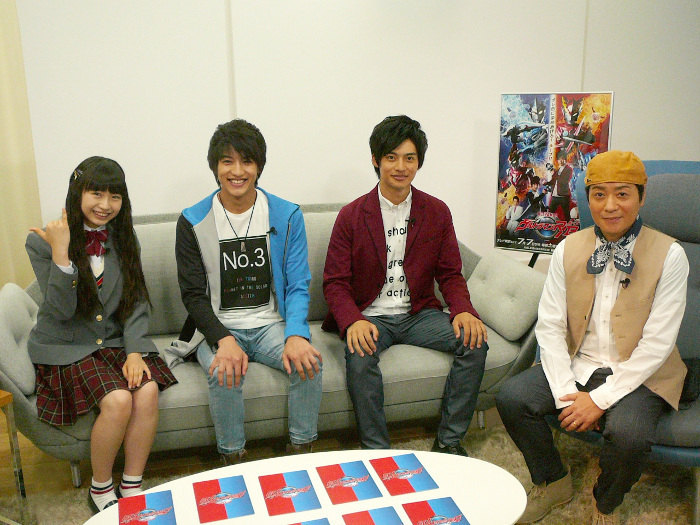 Among the extras are a ‘Making Of’ featurette and the ‘1st Minato Family Talk Show’ starring the main cast of ULTRAMAN R/B — Yuya Hirata as Katsumi Minato/Ultraman Rosso, Ryosuke Koike as Isami Minato/Ultraman Blu, Arisa Sonohara as their sister Asahi Minato, and Ginnojo Yamazaki as patriarch Ushio Minato. Also included is a full color reference booklet with a comment by lead director Masayoshi Takesue (ULTRAMAN ORB, ULTRAMAN GEED) plus cast interviews. Four rental DVD volumes of ULTRAMAN R/B will also be released on November 22. ULTRAMAN R/B (RUEBE) Blu-ray Box II — containing the second half of the series — is scheduled for February 26, 2019. Distributor: BANDAI NAMCO Arts Inc. 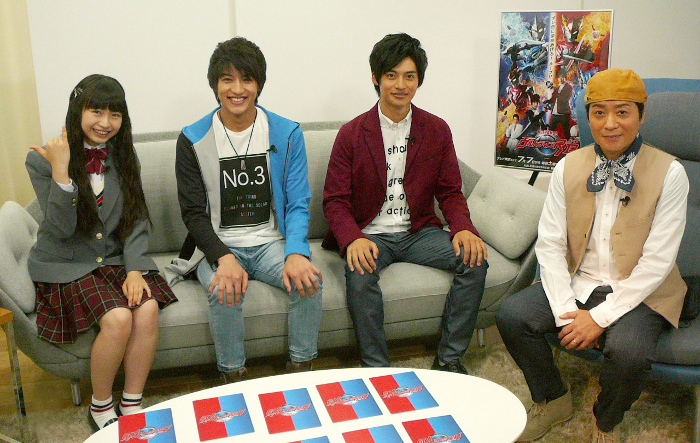 The ‘1st Minato Family Talk Show’ bonus feature starring Arisa Sonohara, Ryosuke Koike, Yuya Hirata and Ginnojo Yamazaki. Tsuburaya Productions, creator and copyrights owner of the superhero ULTRAMAN series was founded in 1963 by Eiji Tsuburaya, world-renowned special effects wizard also known for his special effects work on the Godzilla series. With more than fifty years’ experience, it is one of Japan’s oldest and most respected independent film and television production houses. Its popular Ultraman TV and film series which premiered in 1966 has been seen in over 100 territories worldwide and has spawned over 3,000 licensed products. In addition to production, the company also handles character licensing and program distribution and staging live stage shows both domestically and internationally.